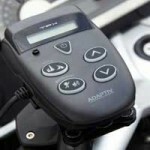 During this 2-minute video Radar Roy reviews the features and benefits of the new TPX motorcycle radar detector. During this 3-minute video you’ll discover the best options when it comes to selecting and mounting a radar detector to your motorcycle. During this 3-minute video you’ll discover how to mount your radar detector to your motorcycle using the Techmount radar detector control mount. 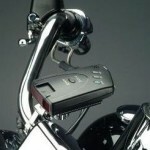 During this 2-minute video you’ll discover how to mount your cell phone to your motorcycle using the Techgripper motorcycle control cell phone mount. During this video you’ll discover how to mount your radar detector to your motorcycle using the Techmount stem mounting system. During this 3-minute video you’ll discover how you can mount your cell phone to the fork tube of your motorcycle, using the Techmount motorcycle mount. During this 3-minute video you’ll discover how to mount your radar detector to the handlebars of your motorcycle using the Techmount radar detector mounting system. During this 2-minute video you’ll discover why you need an external alert system for radar detectors mounted on motorcycles and why Radar Roy recommend the Legal Speeding HARD system. During this 5-minute video Radar Roy reviews the various options you can select from on how to mount your radar detector to your motorcycle.